This week, the 7th European Conference on Sustainable Cities and Towns is being held in Geneva, where numerous representatives of local and national governments, EU institutions, NGOs as well as businesses will be trying to find lasting solutions to the current crisis from an economic, social and environmental point of view. As a new member of the excellent club of the EuropeanPublicAffairs.eu columnists, I have to make a confession, and also an advance notice. I am at once excited and terrified to write here. What makes me excited is the indisputable awesomeness of the EPA team, which I’m proud to be part of. In that regard, knowing how lucky I am to have such an editorial team is the only thing which prevents me from being completely daunted by the nerve-racking challenge to keep up in a company like this. Besides that, the point I wanted to note is that if the editorial team doesn’t keep an eye on me, there is a risk that in my entries I will give quite lot of room to things which at first may not seem relevant to the theme of this website. These seemingly unrelated comments will most likely cover issues of public transport, mobility, urban development, and local governance in general, subjects which have been hobby horses of mine ever since I can remember. This is why I’d like to dedicate my first entry to the 7th European Conference on Sustainable Cities and Towns, which has just started in Geneva. Many representatives of local and national governments, public institutions and enterprises from across Europe are gathered there to discuss how local governance can put into practice the principles of environment-friendly, socially responsible growth, which nowadays are often tagged with the buzzword sustainable development. The event is an element of the European Sustainable Cities & Towns Campaign, launched in 1994 in Aalborg, Denmark. The campaign is built on the Aalborg Charter, an ambitious declaration taken on by European local governments at the Aalborg conference; followed and significantly developed by a detailed list of commitments signed in the same city ten years later. Such a pace is probably not very impressive at a first glance, but the Campaign certainly has some considerable merits. Until now, more than 2500 local governments from 46 countries have signed the Aalborg Charter and have taken part in the Campaign. Remarkably, the Campaign was effective not only in earning support for the idea of sustainability among regional governments of Europe, but also in developing a concrete agenda to put theory into practice. Defining the actions necessary to achieve social, economic and environmental sustainability is a remarkable accomplishment of the Campaign. What are these commitments made in Aalborg in 2004? The list is divided into ten themes, ranging from a very general concept of reforming the functioning of local governance, to detailed ones, like mobility or urban planning. The signatories declare to strive for participatory democracy; to encourage energy-saving and limiting waste production; to promote responsible consumption, especially of environment-friendly and ethical products. They promise to use smart urban planning to protect local heritage, avoid urban sprawl and ensure balanced use of land in cities, as well as declare to reduce private transport in favour of public transit systems, cycling and walking. These are only a few of the 50 total points, which form a comprehensive action plan for modernizing urban management in towns and cities. Regrettably, there are still many empty seats around the table. Although the initiative involves many non-EU countries such as Switzerland, Iceland, Ukraine, Tunisia or even Senegal, the Aalborg commitments haven’t been adopted universally in the EU. In fact the whole list looks rather like a random selection of communities than an all-embracing movement. A striking exception are the local governments from Italy, Spain and Portugal, which are unproportionately represented, but some countries are blank areas, like Poland, Slovakia and Hungary, all without a single representative. In Czech Republic and Romania, the communities of Chrudim and Giurgiu are national front-runners, both being the only representatives from their countries. All in all, the 2004 Aalborg commitments have, up to now, been signed by three times less local authorities than the ten years older Aalborg Charter. At the time when the commitments were written down, there were two contrasting interpretations of this drop of involvement. Some considered it as proof that ambitious declarations are not be so easily translatable into concrete actions and the engagement of local authorities will not go beyond certain limits, usually defined by their financial situation. Others argued that the British, Dutch or German local authorities, which evidently dropped their involvement, were simply already more advanced and reaching further than the agenda-setting phase.In any case, the mismatch between declared ambitions to reach sustainability, and concrete actions taken by local authorities is an alarming signal, especially in this time of prolonged economic stagnation.This is why the theme of the upcoming conference in Geneva will be, how to combine sustainable development with economic recovery. Transition to green economy has been repeatedly claimed as the solution to the financial crisis and it’s supported by estimations from the European Commission. Renewable energy is the fastest growing energy sector and this is the case in many other green branches. What makes green economy special, is that it is capable of growing by producing less. More efficient use of resources can increase the turnover in different economy sectors by 3 to 8 percent. If the EU consumed 1 percent fewer resources, the effects would be up to €23 billion savings for enterprises and the creation of 100 000 to 200 000 new jobs. There seems to be little doubt, that investment in greening the economy would be beneficial. Green investment is the trail the Conference will follow in looking for a sustainable response to the economic crisis. Budget savings, such as social spending cuts, are usually the default rescue plan for the budgets of many local governments, but these short-term austerity reactions are fraught with a negative long-term impact on the society and the environment. A prime example that comes to mind is an utterly staggering policy implemented in Warsaw, the capital of Poland and my home city. Troubled by the shrinking municipal budget, the local authorities targeted the public transport as a field to look for savings. On that account, they developed a quite unique strategy of raising fares, combining this with cutting connections. In consequence, a single ticket in the beginning of 2014 will cost 85 percent more than it did in mid-2011. Most fares will be raised radically, but, interestingly, the increase will not be uniform – the commuters from adjacent towns will be affected by an increase of 90 percent, twice the amount for the in-city ticket holders. Correspondingly, the public transport authority announced the cancellation of 10 bus lines and to cut 40 out of the total 250 bus connections. The results are easy to predict and I expect the roads of Warsaw, especially the radial ones, will have even more traffic jams than they have now. Just as I warned, I am prone to jumping in with locally specific details into my articles, but this case is a perfect example of what the sustainable cities should avoid. Looking for savings in public transport may bring short-term relief to the budget, but the results in the long run are disastrous. Expensive fares and poor services repel the people from public transport and make them get back in their cars. The ownership of cars in Warsaw is already almost twice that of Berlin (respectively: 550 cars and 300 cars per 1000 inhabitants). Consequent pollution and damages to the public space make dwellers move out from the city to the suburbs, which increases the commuter traffic, road repairs will require more money and so goes the vicious circle. All of this is probably not new to the guests of the Geneva conference, as they are well-informed about the right ways to handle urban mobility and other themes of local governance. The communities represented there have already got on the trail towards environmentally and socially sustainable economy. The challenge for them is to demonstrate to the other local governments in Europe, that greening the economy can also green the digits in the accounts. The European Conference on Sustainable Cities and Towns “A green and socially responsible economy: a solution in times of crisis?” is scheduled to be in Geneva (Switzerland) on 17-19 April and is organized by the City of Geneva, ICLEI Europe and the ESCT Conference Preparatory Committee. The list of the Aalborg Commitments can be found at http://www.aalborgplus10.dk. Keep an ace… under the Sea! Greening the cities – a cost, or an investment? 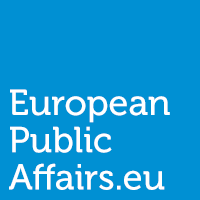 Join our mailing list to receive the latest insights from EuropeanPublicAffairs. Who is this mysterious Neven Mimica, the first Croatian Commissioner?